TASS, September 1. 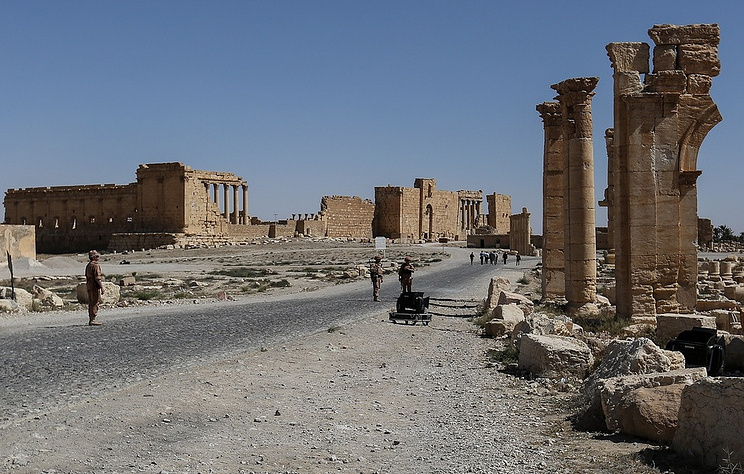 Syrian military servicemen have captured militants who were to commit terrorist attacks in Palmyra. They were trained by US instructors at the al-Tanf military base, the Russian Center for Reconciliation of the Opposing Sides in Syria (part of the Russian Defense Ministry) told reporters on Saturday. According to the Reconciliation Center, a shootout between Syrian troops and a subversive group of militants who were on their way to the Palmyra from the al-Tanf settlement occurred at 5am 36 kilometers southeast of Palmyra. "Two terrorists were wiped out in the shootout, while two others were captured and are being questioned," the center’s spokesman said. "One of the terrorists said US instructors were involved in training their group, weapons and ammunition were delivered from the US base. The militants’ objective was to commit a series of terrorist attacks near the inhabited community of Palmyra and ensure the passage of about 300 militants to capture the city within the next week," the center reported.